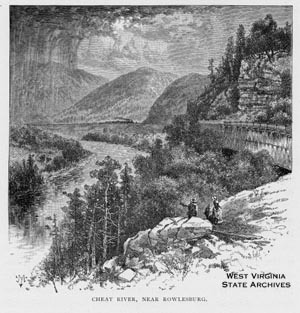 On January 1, 1853, the first Baltimore & Ohio train arrived in Wheeling from Baltimore, connecting the Atlantic with the Ohio River. "The Closing of the Track of the Baltimore and Ohio Railroad"
"Celebration of the Opening of the Baltimore and Ohio Railroad"
"Celebration of the Opening of the Baltimore and Ohio Railroad! - The Reception"